“It matters. Period” are the words that greet you in the About section of Carmesi’s website. And the brand’s ethos is best defined by those words too. 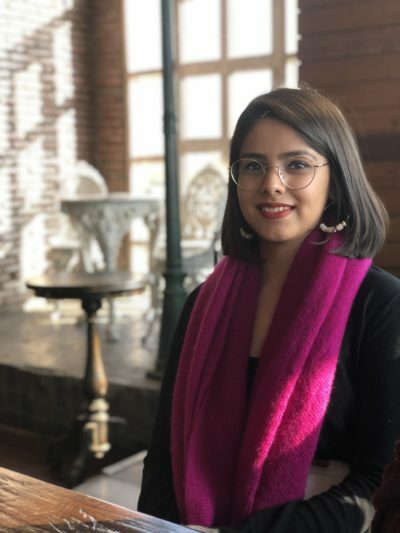 Founder and CEO Tanvi Johri’s objective was not merely to create a product that was sustainable for the environment, but to also give every girl and woman a menstrual hygiene solution that would relieve them of the stigma surrounding their period while offering a safe, comfortable alternative. From her childhood dream of being an IAS officer to then working for a few start-ups before founding a company of her own, Johri’s journey has been a diverse and fascinating one. 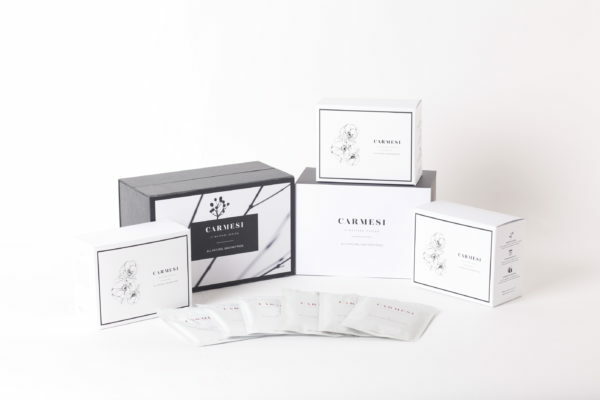 While the initial inspiration for Carmesi stemmed from personal experiences, Johri soon realised that a lot of women around the country faced hurdles similar to hers – allergic reactions to synthetics and chemicals, and packaging that didn’t account for proper disposal (an issue that Carmesi’s packaging has successfully addressed). What further motivated Johri, and led to the genesis of the brand was the fact that unlike other health and care products, sanitary napkins didn’t come in distinct premium and affordable options. They were all in a similar bracket and were marginally different from the others. In conversation with Johri, we learn more about what led to the genesis of Carmesi, and why for a woman, laying emphasis on the experience, comfort and hygiene are integral. I’ve always used only sanitary napkins and haven’t experimented much with tampons or other menstrual hygiene products, mostly because I never found them to be too comfortable. And because I have sensitive skin, over the years, I’ve tried my luck with all the brands available in the market, but have always faced the issue of developing rashes and allergic reactions. Having stayed away from home, I came across a lot of women who were facing similar issues. The other problem with conventional sanitary napkin brands was that they never offered a solution to dispose of the products after use. Eventually, I started actively researching the market and that’s when I actually encountered the fact that 90 per cent of any sanitary napkin is plastic, which is harsh and often results in allergic reactions. And that really is the core of why I started Carmesi. Traditionally, the components that are used in sanitary napkins aren’t always biodegradable. But as part of my research, I discovered that products from outside India and Asia are often made of organic, natural and biodegradable components. After testing a lot of those products – mainly organic cotton in a variety of ways – we found that cotton retains water, and so unless you are going to be changing your sanitary napkin quite frequently, it’s not a very good alternative. In India especially, people would want to wear their pad for longer periods of time and would generally change them only twice in the day. That firstly is not advisable, especially for products with a component like cotton. This led to us looking for other alternatives, which are natural and biodegradable but do not compromise on their ability to absorb. That’s when we came across bamboo fibre, which is anti-bacterial and absorbent, and chose cornstarch to make the top sheet on our pads. This way, our product doesn’t compromise on any of the functionalities, and at the same time maintains its position as a sustainable product. Carmesi is a Spanish word, which means ‘crimson’ – the colour. We chose this as the name because we wanted for our name to highlight the fact that we’re not ashamed to be talking about menstruation on a public platform. Generally, brands are hesitant to show period blood on the screen. And knowing that we see blood in the form of violence and because of other reasons, I don’t see why these brands should shy away from showing period blood in its true form.